Almost everyone stores both work-related and private documents on one computer. Often we need to carefully read the names of similar yellow Windows folders to find the right one. Extra10 Folder Icons are made to mark important folders for easy, at-a-glance identification and help you avoid the confusion of identical-looking yellow folders. The Extra10 Folder Icons pack consists of 45 cute images with amazing Windows 10-style* design and scrupulous attention to detail. With its help, you can organize your files in folders however you want, whether it’s for private to office use. For organizing your business papers, use office folder icons: computer, laptop, office chair, databases, calculator, USB and so on. For sorting your blog materials and programming files: Wordpress, Java and programming icons. If several people use your computer, mark folders with special women and men avatars. Put things in order in your private folders using home folder icons such as: beer, purchases, medicine, a dog and a cat, and so on. Sort your favorite and unloved documents using smile folder icons and symbols with hands. Use your imagination and find the best icons for folders for any topic. For example, a red car folder icon can mark the folder with automobile insurance and related documents. A light bulb could be added to the folder for new ideas. And a skull folder icon could be used for projects with deadlines. 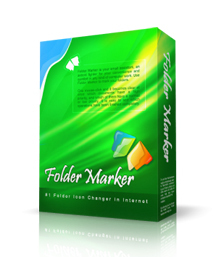 Every folder icon was specially created by a professional icon designer in all sizes that can be displayed on your computer. The quality of the image will let you distinguish the folder at a glance, even if it is 13x13. Unlike icons downloaded from the Internet, these are created in the same Windows 10 style and fit together. Your computer will look neat and clean. How to mark folders with Extra10 Folder Icons?